When W Vapes said “Premium Cannabis Oil” they weren’t kidding. 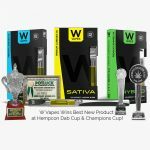 W Vapes is gaining a lot of accolades, having won multiple awards, including Best Sativa Concentrate at the 2015 Green Games in San Diego. 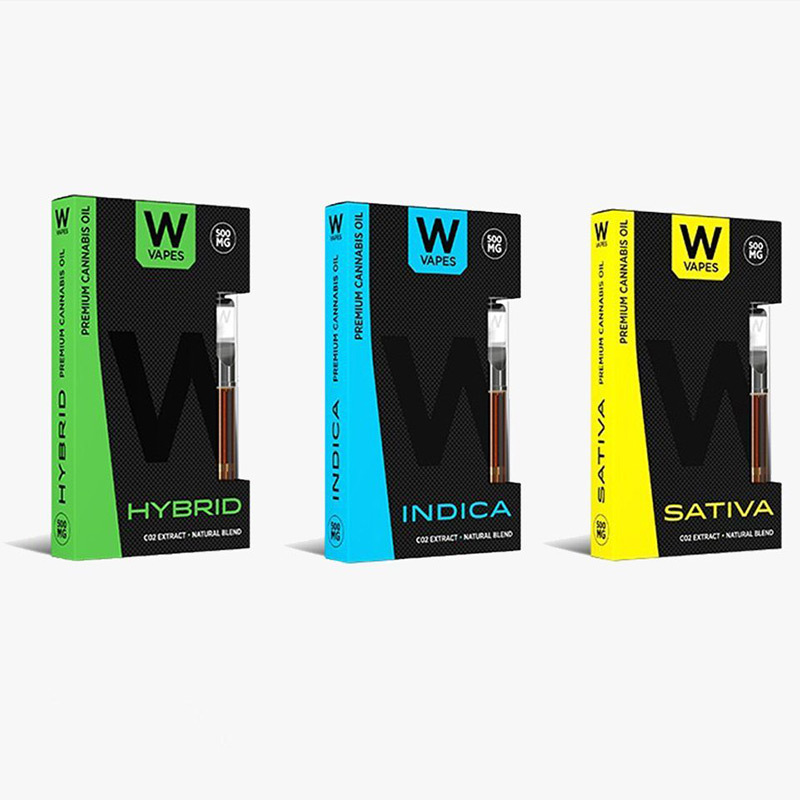 We were lucky enough to get our hands on some W Vapes cartridges pre-filled with 500 mg of their premium, CO2 extracted cannabis oil in Sour Diesel and Cotton Candy. Not only are these cannabis oils impressive, so is the cartridge design. Each cartridge features a stylish silver mouthpiece tip engraved with the “W” branding. These metal tips feel great against your lips and will last much longer than their cheap, plastic counterparts used by other brands. 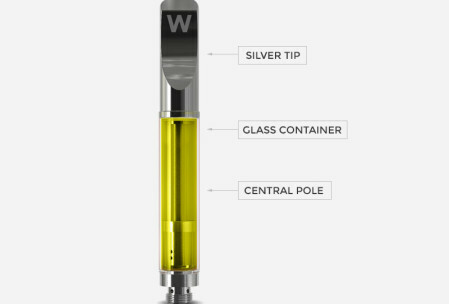 These cartridges also feature a central pole that runs through the center of the oil chamber, allowing increased air flow for smoother and fuller hits. As with all of their cartridges, these are 510 threaded to fit universal sized vape pens. We tested these cartridges out of two separate W Vape batteries: the 280 mAh battery and the 350 mAh push button battery. Both batteries include USB port chargers and came pre-charged, ready for use right out the box. We prefer the push button battery for a few reasons: the weight feels sturdier in your hand, the button lights up, we could turn it off and on to save battery, and with the button allows better control over each pull. We have tried a lot of cartridges in our day, and we can honestly say this was one of the best in terms of taste and quality. The hits are smooth and the effects can be felt within minutes. We got a little drowsy after about 15 minutes which is not typically associated with sativa strains (Sour Diesel), but we did have a long night, so we could have tired already. The Cotton Candy vape had a sweet, fruity flavor, but didn’t taste like real cotton candy as you might expect. 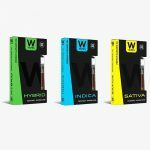 W Vapes also has a line of high CBD cannabis oils cartridges. 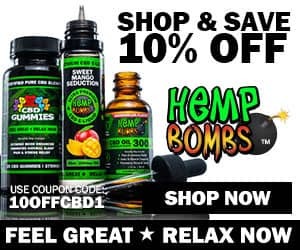 CBD W Vape cartridges are available through Greenly Online Collective. The Sour Diesel cartridge we tried tested at 77% THC. 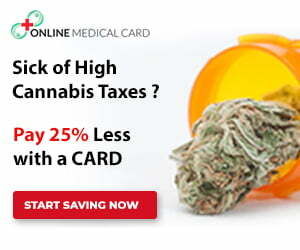 The other strains vary in their THC percentages, usually floating around the 70% THC range. Their high CBD cartridges can range around 53% CBD : 10% THC. Check W Vapes lab facts for all test results. 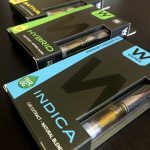 W Vapes are available at various dispensaries throughout California for around $40. 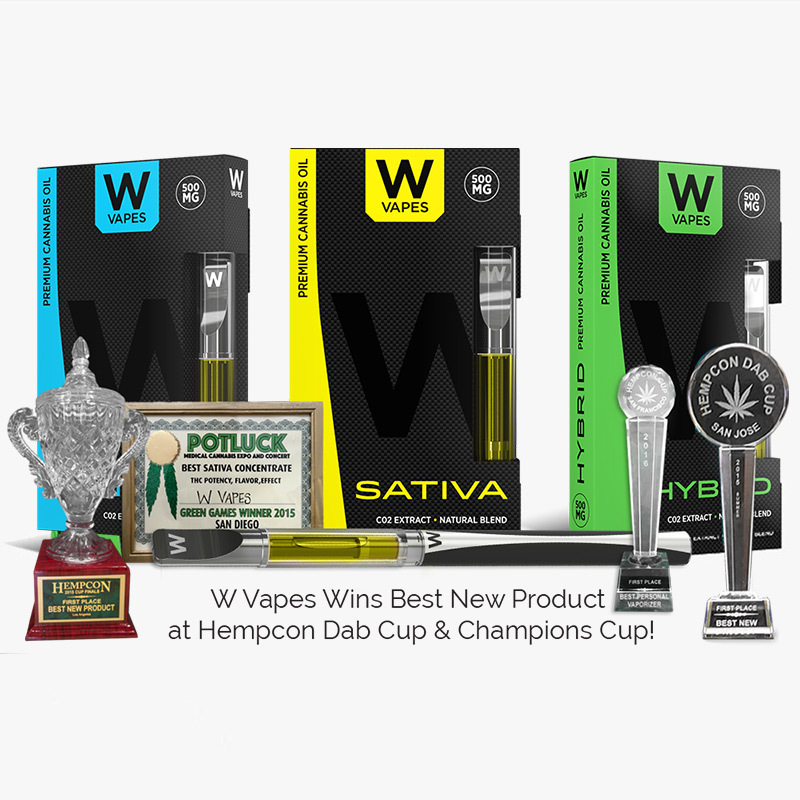 Use the W Vapes locator tool to find a retail location near you. If you are located in Los Angeles, California, you can find W Vape Pens from a dispensary on the Eaze and Nugg delivery networks. If paired cartridges and rechargeable batteries aren’t your cup of tea, W Vapes offers disposable vapes as well. 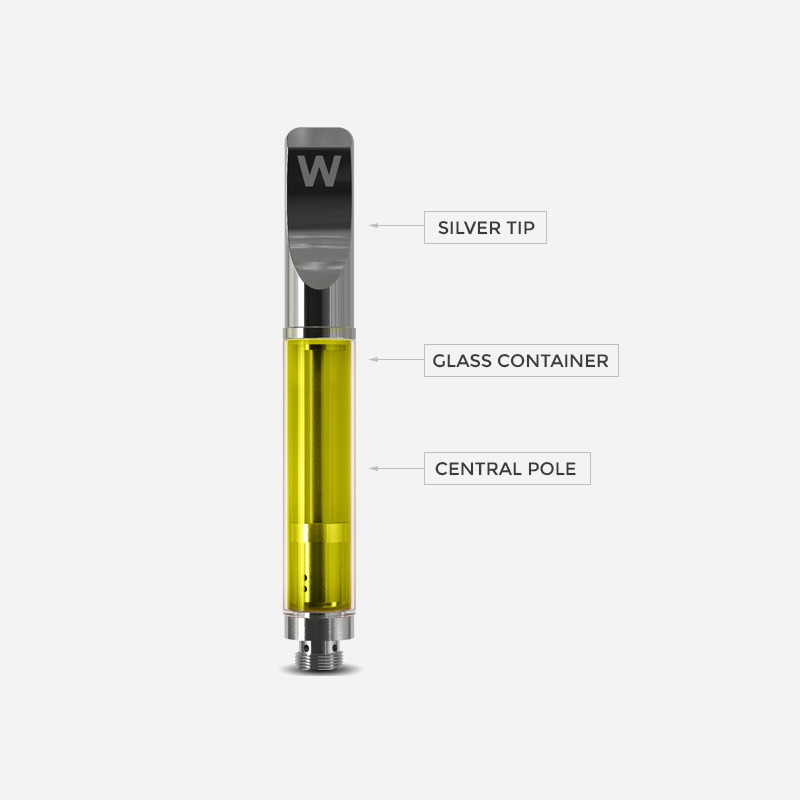 Check out our W Vapes Disposable Vape Pen review. W Vapes recently refined their distillation and extraction process. They now offer a reformulated, crystal clear cannabis oil and a dabbing wax. We will update the review shortly when we get our hands on these new products!